Thanks to Glenn as usual for his resourcefulness to bring these buried conspiracies to the forefront! Love ya’ Glenn!-A.M.
Contra Costa County, felt a tremendous blast. At first most residents in the Bay Area, including Napa County, thought it was an earthquake. The night was Monday, July 17, 1944. Port Chicago has now been named the Concord Naval Weapons Station.The Hiroshima blast was a year later, in August 1945. 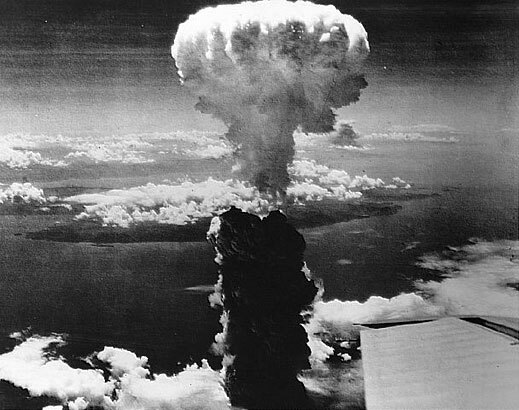 Not until the Hiroshima and the Nagasaki blasts was the general population of the world aware of terms such as “bright white light” and “mushroom cloud” in reference to a military explosion. The U.S. claimed it could not test the Hiroshima bomb because it only had a small supply of U-235, allowing for the making of only two bombs. Records obtained from the U.S. Government indicate that enough U-235 existed in 1944 to make several bombs, and more in 1945. The head of Port Chicago was promoted to commodore immediately after the explosion and also headed up tests in the Pacific, and was also aboard the Enola Gay when it dropped the bomb on Hiroshima. After Hiroshima he was made a rear admiral. Liberty ships were loaded while crews remained aboard the vessel. The Liberty ship that exploded at Port Chicago had no crew aboard. Documents from Los Alamos show that at the time of the Port Chicago explosion it was believed that the only way to deliver an atomic bomb to the enemy was by ship, detonating in the harbor. It was called the Hydrodynamic Theory of Surface Explosions. Records of contents of two box cars unloaded at Port Chicago are missing. A complete list of all box cars were kept – except those two. Did it contain the 9000 pound bomb? Port Chicago was rebuilt in one week after its destruction. Two hundred black sailors died in the explosion. There was a Navy mutiny at Port Chicago after the blast. The Navy was photographing the entire blast from across the Bay. In a top secret report on a nuclear detonation after Port Chicago, the notes state that it was a “Port Chicago-type” explosion in similarity and form. One of the highest rates of cancer in the United States is in Contra Costa County. It was one of the most closely guarded top secrets of World War Two. “One of the few to see the flash from here was Tom Street, who happened to be standing in the patio if his Spring Mountain home when the blast came,” reported the July 21, 1944 edition of the St. Helena Star. “First there was a sudden mushroom of white light, followed an instant later by another, then a few moments later the intense roar and the concussion of the blast. “The hills of the Napa Valley were momentarily illuminated by sunlight.” reported the Napa Journal.